Asking just $16.00 -- MUST SELL -- Make me an Offer !! Buyer to pay U.S. Shipping, or items can be picked up. !! Cash or Money Order only. Beautifully Illustrated Book & What a Lovely Read ! Comes with the Dust Jacket & Pages of Natural Paper (unbleached) with Bright & Colorful, Water Color Illustrations. Makes a Wonderful Gift !! 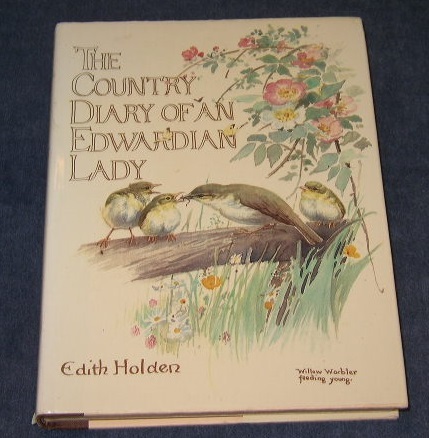 Book of Memoirs by Edith Holder - Darling Illustrations of Birds, Flowers & Plants, Animals, and so much More ! The Country Diary of an Edwardian Lady. Hardback with Dust Jacket. Copyright 1977 (Edith Holden). Michael Joseph/Webb & Bower Ltd., 186 pgs. (Mark on inside cover page & personal note on title page). See all my items posted for sale in my online store !